My wife and I work in Baltimore offices a block apart. We hate our jobs. It’s been a few years since we graduated college, but we still don’t know what we want to be when we grow up. We rent a small apartment outside the city, one bedroom, to save money. There is no child yet, so the evening is our time, and we rush to get home. Corporate Casual attire is a privilege, the employee handbook is very clear, but we still like to change after work, before we make dinner. The couple that emerges from the bedroom in t-shirts and yoga pants feels more like the real us, but we don’t leave together. I go to the kitchen to gather evening meal ingredients, while Jenn prepares the cannabis. We don’t have access to high quality extracts; we’re only vaguely aware of their existence. We have flower, and because we’ve put some effort into finding friends who can find the right things for us, it’s good flower. It’s ground and pressed into the heavily worked glass pipe we bought for ourselves as a wedding present, affectionately named Hemingway after the cigar box we repurposed as its carrying case. Jenn brings the bowl out to the kitchen, but first makes sure to put a rolled up towel down on the floor by the front door, so that no air can get out. She waits until I finish chopping vegetables before handing the packed pipe to me. This part is important. The bowl passes from hand to hand. It’s an expensive piece of glass. We make eye contact, because we like each other, but also for safety. It’s a good reminder to slow down, to take a deep breath, and to look at the person you are with. Our private time has been hard won. We’ve told a few lies to earn this two-person solitude. Maybe we said we couldn’t go to a bar because one of us wasn’t feeling well. Maybe we said we had to take care of something for a family member, so we couldn’t make the party on Friday night. Most of our work friends don’t know what we do when we leave the office. They don’t think Jenn and I look like the type. When work is over we sneak away. But the home we’ve retreated to is beautiful, alternately quiet and exuberant. It’s a space filled with thick smoke and food we made with our hands together while passing cannabis back and forth. It’s a space that is entirely ours, so we get to do with it what we want. Jenn will put on some jazz. We like Monk, Monk Alone, while we eat together and talk about the day. The things we learned that might be useful going forward. All the rest. The flow of thoughts and words and weed continues after dinner. We’ll choose from a growing collection of glass and take turns filling it by hand, grinding up flower, wiping sticking fingers on the other’s leg. We say “let’s watch a show” but we don’t turn it on right away because we’re too happy talking. Our jobs have disappeared, and the lies we tell to keep them don’t matter in this place, our place. No one can see what we are doing; it’s too risky to even open the windows. We’ve chosen to leave the regular, rule-following world behind, so that we can break the law together. We haven’t found anything like a cannabis community yet, we just know our guy, and we know each other. In these times there is no one else, just us two hiding, laughing, sharing. We’ve created our own rituals here, privately. Through these rituals, we took this rented space and made it our own. Time passes and our lives evolve. We shift from office work to teaching and health food store jobs in Vermont. Our family expands by a person, our one room to three narrow floors. We acquire more cats (three) than pieces of heady glass to be used as part of our private cannabis routine. We take turns staying home with our daughter. We’re preparing for the life we always wanted. Through these transitions, though, the ritual remains the same. In the evening, almost every evening, we make time to step away from all the demands of the world around us and take deep breaths together, make something simple to share with the person we love, and talk. Ten years later, privacy means something very different. Instead of hiding our affinity for cannabis, we advertise it on a variety of social media platforms. The bond formed during all those private sessions has led Jenn and me to create our own business in the cannabis industry. We review shops and strains for people looking for responsible ways to purchase products in which we believe. We’re helping people who want to start their own cannabis companies. We homeschool our daughter. Instead of carpooling to work together, we come and go to a scattered variety of appointments and meetings. Jenn has to have a phone call with a woman who makes high-quality joint clips, I have to take our daughter to the dentist. Jenn is teaching lessons on all the ways a person could make 18 (10+8, 6+7+5, 3+6+9), I’m meeting with the potential grower and processor of what would be the largest cannabis cultivation center on the east coast, if a state commission awards his team a license. Instead of tightly closed curtains and an air-locked apartment, part of our home has become an office open to clients. People come here to ask us questions about cannabis. Splimm regularly receives offers in the mail to upgrade its Internet or open a new line of business credit. Instead of the cathartic release of shedding our work skin and slowly enjoying a bowl as we make dinner, we’re cooking a meal in the presence of the expanding consciousness of an 8-year-old-girl. 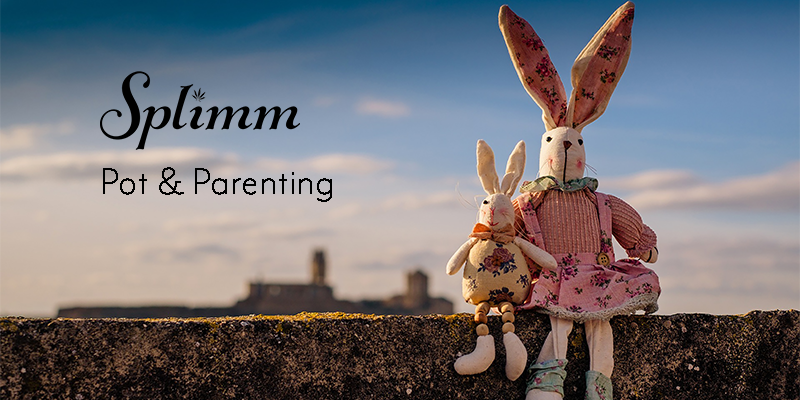 We don’t consume in front of our child, but even if we wanted to it would be difficult to find time to inhale anything, because she has a lot of questions she needs answered. We may not have the same kind of privacy, but large parts of the early ritual remain. The evening times are still the space for slowing down and sharing with each other. It feels like we’re always working, but we still make the time each evening to cook and eat together. The process became engrained in us, to retreat to the ones you care the most about, to find solace there. Privacy is still important; it’s just carved out in smaller sections. We can only count on being alone for a few minutes before bed each night. We might get a couple of hours on a Saturday. Sometimes the grandparents will take the child. And in those times, with all that’s changed, we still go back to those old motions. Now Jenn will make sure our daughter is secure in her car seat, we’ll each give her a kiss and ask her not to eat too much ice cream or cotton candy or sour gummy worms, and wave goodbye to whoever has agreed to provide childcare for the afternoon. We’ve upgraded from combustion to vaporization, and everything is kept safely locked away, out of reach and tightly bundled, so it takes a little while to set things up. Our multi-colored bowl has been replaced by a sleek black pen, but so much else is familiar. Jenn retrieves the tray from its secure spot. She unscrews the pen cap and, using a tiny spoon, places the smallest drop of wax onto a metal and ceramic coil, and puts the pen back together. She hands it to me, of course; if I’m the one who filled it, I hand it to her. It’s the seclusion we’ve always withdrawn to, though it never feels like running away. Far from escapism, our cannabis consumption is the time we focus on the things we love the most. It generates the space to pause and concentrate on what we are doing, and who we are doing it with. Whether smoking a glass bowl of flower or vaporizing live resin, we are necessarily pausing to take a slow deep breath, watching our bodies exhale and let go of something. 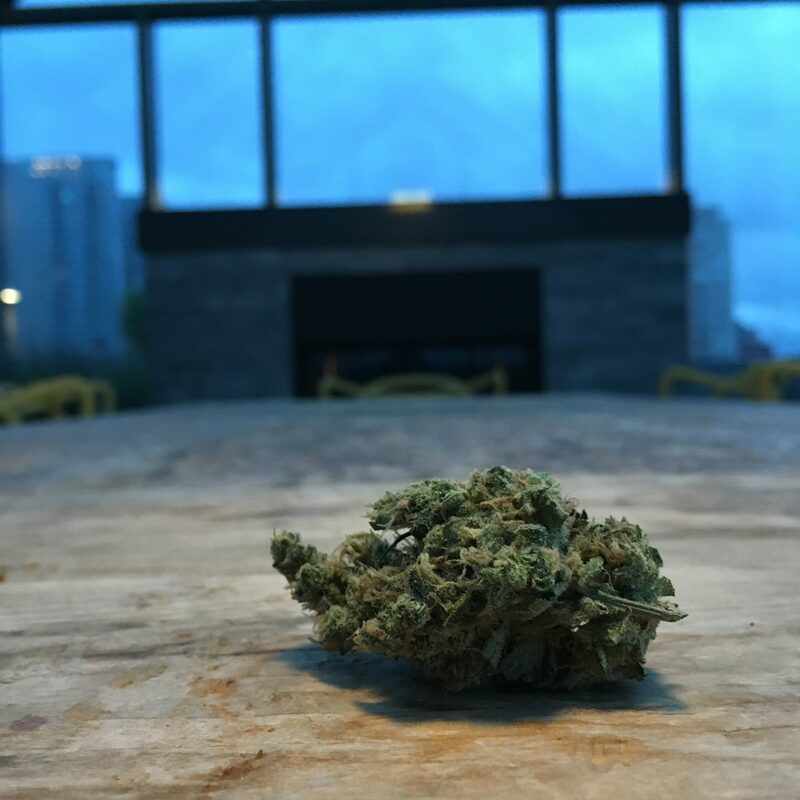 Those private cannabis rituals, rooted in mindful breathing and creating a shared experience, built the foundation for the home and life we have today. This piece originally appeared in Issue 2 of MARY Magazine and is reprinted here with their permission.